On International Holocaust Remembrance Day, audiences in nearly 30 countries will gather to simultaneously watch Who Will Write Our History? 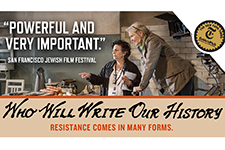 This documentary by Roberta Grossman and Nancy Spielberg reveals how a clandestine group in the Warsaw ghetto vowed to defeat Nazi lies and propaganda not with guns or fists but with pen and paper. Indiana University Press is honored to announce that its book, Who Will Write Our History? by Samuel D. Kassow, is now a critically-acclaimed film with the same name. The film's Global Screening Event took place on Sunday, January 27, 2019, in over 355 venues in 55 countries worldwide in honor of International Holocaust Remembrance Day. Continue to show the world #WeRemember - participate in the conversation online using the hashtag, #WeRemember. The IU Press blog offers a link to the trailer and a number of critical reviews. Buy the book. See the movie. 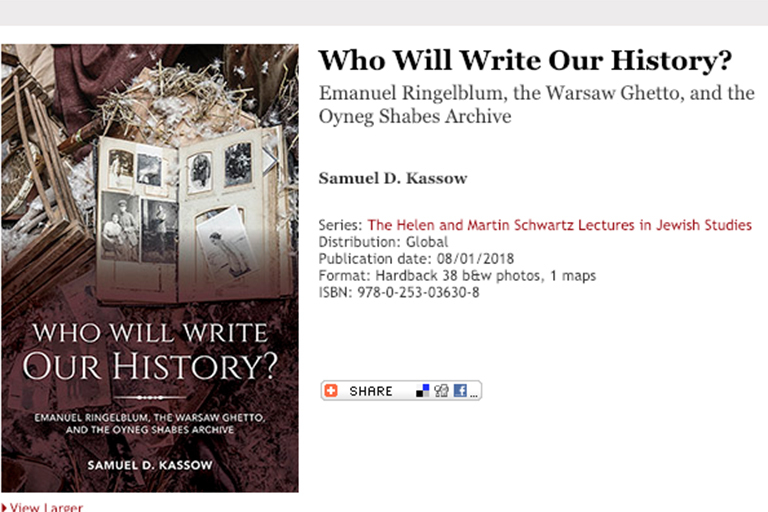 To celebrate the work of Samuel Kassow and the success of this film, IU Press is providing readers a 20% discount on our book Who Will Write Our History?. Enter promo code WWWOH at checkout to redeem. Order your copy of Who Will Write Our History?